Step into the Audi Q7, and let its comfortable features ease stress and tension on the road. If you need an automobile that's equipped with practical options for fatigue and uncomfortable weather, you may want to consider buying the Q7. 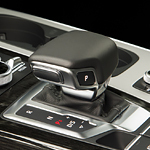 The Q7's automatic climate control technology is a great comfort solution that you'll use on a hot day. Because it distributes air in four zones, everyone in the cabin feels comfortable while the system is activated. Passengers in the front of the vehicle can direct the air to different zones by using convenient buttons on the center console. The climate control panel has practical icons for various cooling and heating settings, so the process of controlling the technology is simple. Other comfort options are also included, such as plush leather seats. These seats very comfortable since they have firm paddling that supports the back and neck. Q7 automobiles are available for sale at Audi Las Vegas. This car is a suitable option for daily routines in Las Vegas.